You can’t blame Challen Rogers for pausing when asked how old he is. After all, the 24-year-old has a lot of responsibility on his shoulders. As captain of the Toronto Rock, he’s suddenly being looked upon to be a leader of men older and more experienced at their craft. That’s bound to throw you for a loop every now and then when you stop to think about it. 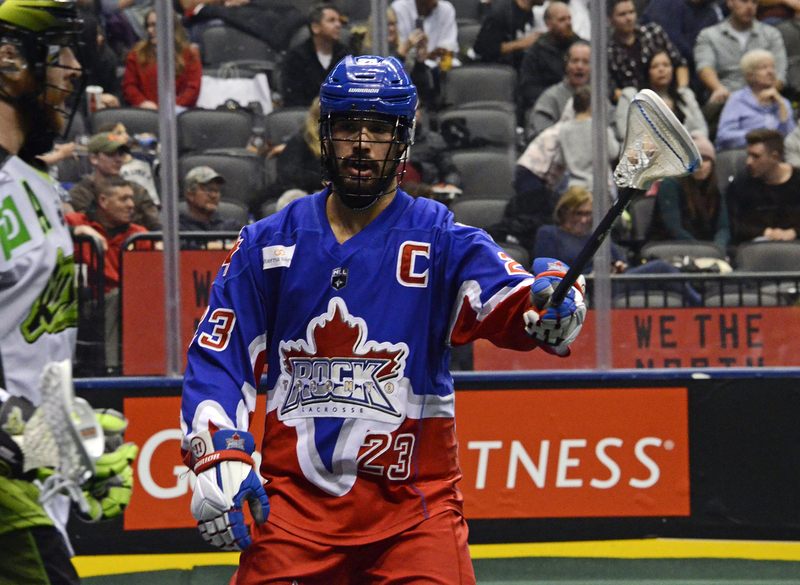 Drafted second overall in 2016, this is only Rogers’ third season with the Rock. One of the youngest captains in league history, he isn’t very far removed from his days of junior lacrosse in Coquitlam or collegiate lacrosse at Stonybrook, where he also wore the C, but the Rock have watched him grow into one of their best players and a respected presence in their dressing room. Rogers is having a great season despite the added pressure. Fans at Scotiabank Arena get up and dance to a pumped up version of Earth Wind and Fire’s September whenever he scores an exciting transition goal. With his heightened profile and 15 goals in 16 games last season it seemed like a good idea to have his own song. He’s scored four times and added five assists so far in 2019. The smile reached his eyes when asked about why he chose it; Rogers can’t remember where he heard the song first, but says it always gets him moving. He’s just glad it puts more energy into the building. He’s also scooped 52 loose balls (second on the team) and leads the team in caused turnovers with 10. He’s grown into a confident defender who isn’t afraid to get into dirty spots or get physical to recover the ball for his team. Being the Rock’s captain means more responsibility both on and off the floor. Rogers is now the face of the organization and is counted on to be an ambassador for the team and the game in the local community. It’s a busy job, but as he exudes a quiet confidence and genuine positivity, it appears the Rock picked the perfect man for the job. He’s at the Toronto Rock Athletic Centre frequently even when he doesn’t have to be, just interacting with minor lacrosse players and providing what guidance he can. Despite being raised in Vancouver Ravens’ territory, Rogers says the Rock were on TV more often in Coquitlam, BC, so he became familiar with them and grew into a fan, looking up to Rock players of old. Moving across the country to play for his favourite team was a dream come true. “I could have been drafted by Vancouver (then the Stealth), but it was a blessing to come here to Toronto,” he says. 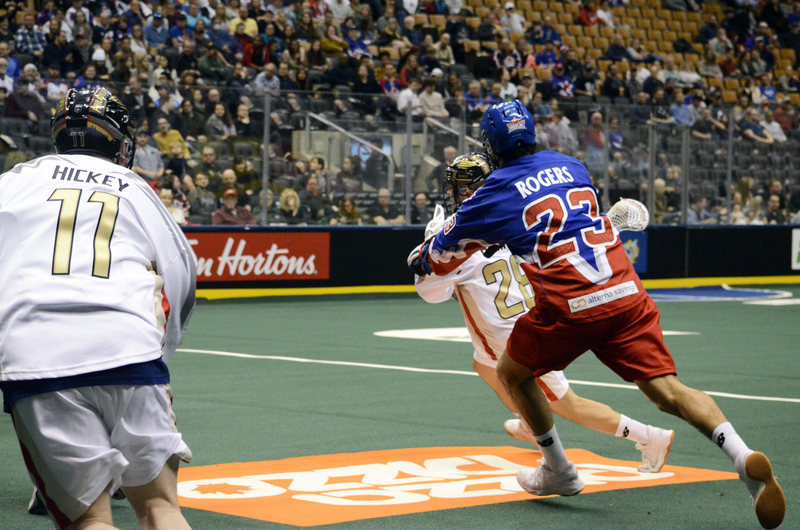 Rogers is now a full-time resident in the area; he was named Major Series Lacrosse’s MVP this past summer while playing with the Oakville Rock. He played wherever Oakville needed him this summer, even spending a lot of time on offense as he developed chemistry with his teammates, many of whom play for both Jamie Dawick-owned teams. Living in the area also allows him to work frequently with former Rock captain Colin Doyle at the TRAC, where Doyle is the Director of Athletics. Doyle was a beloved captain for seven years and embodied the spirit of the Rock in everything he did. Rogers is happy to be learn anything he can from Doyle. Given his youth, it’s an honour he may have for a very long time. The Rock are on a bye this week and return home to host the San Diego Seals on Friday, February 15th.